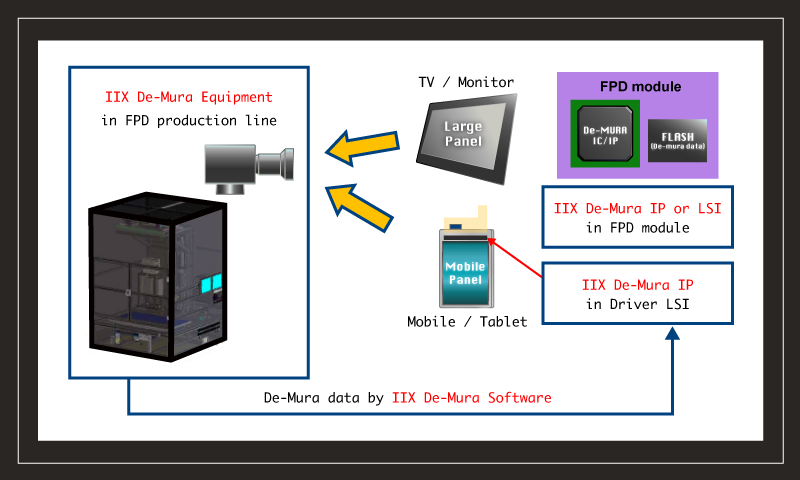 What is IIX De-mura technology? Applying these hardware and data generation system, panel manufacturer can get high quality panel module with low cost. Also this technology gives panel manufacturer simpler mura inspection or mura grading system in their product line. 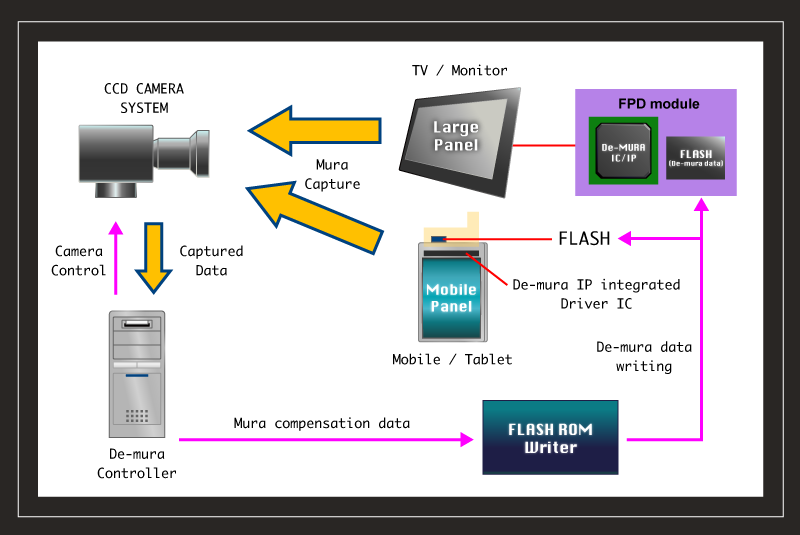 IIX De-mura technology has many merits. 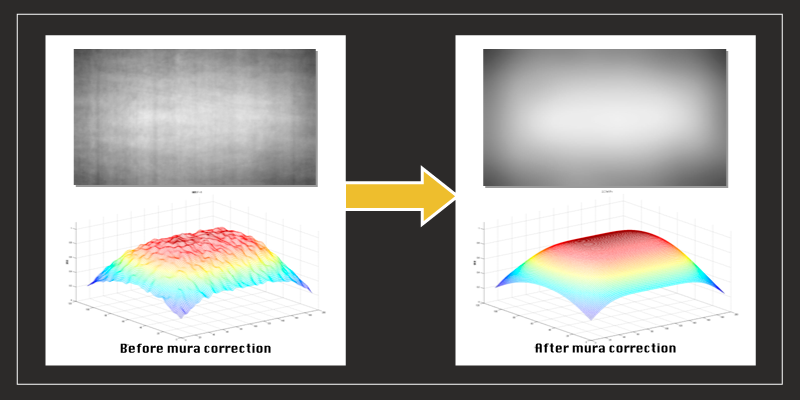 IIX De-mura technology can correct only detail mura with keeping uniformity of the whole panel. IIX De-mura technology can be applicable for back-light mura of LCD panel. 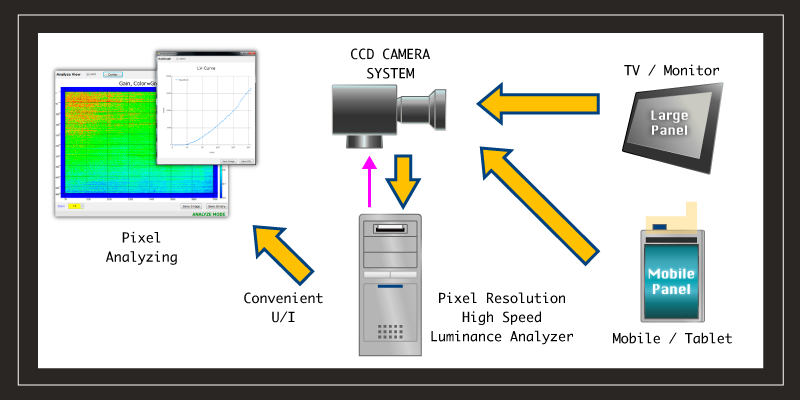 Tact time start from image capturing by camera until completing mera correction data generation. Copyright ©2018 IIX INC. All Rights Reserved.